Tuesday's driving rain and thunderstorms postponed two huge Meck County baseball games. They will be played tonight. At Hopewell, the Titans (13-6, 6-2) and Mooresville (10-6, 6-2) lead Mallard Creek (14-7, 6-3) and North Meck (11-6, 5-3). Mooresville plays at Hopewell for first place tonight. North Meck is at Mallard Creek. The North Meck boys' golf team won the I-Meck golf tournament Tuesday afternoon by 11 strokes over Hopewell. The Titans and Vikings will both advance to regionals. Hopewell's Logan Harrell and North Meck's Danny Pizetoski were named co-most valuable players of the conference. The following players also made the all-conference team, automatically advancing to regionals. All-Conference: Danny Pizetoski (NM), Logan Harrell (H), Conner Lewis (NM), David Sargent (H), Norm Krise (Lake Norman), Luke Robbins (Mooresville), Dillan Schaffer (H), Ryan Abbott (NM). Lake Norman's Andrew Johnson also qualified for regionals as an indvidual. After 14 straight wins to begin the year, the Lake Norman (14-1) softball finally lost a game to archrival Mooresville. Margaret Whitehouse led the Blue Devils (6-2) getting the win on the mound with six strikeouts while collecting two hits including the go-ahead run. The Lake Norman girls softball team is still perfect at 14-0, 5-0 in the I-Meck standings going into the second half of the season. The Wildcats, No. 7 in the state according to the N.C. Softball Coaches' Association, are hitting over .400 as a team at the plate. Seven different batters are hitting above or around .400 including, Chloe Archer (.442), Shelby Bailey (.462), Stacey Houser (.467), Mariah McGuffey (.463), Kayla Pine (.486), Dominique Wilson (.488) and Arin Hall (.388). The Magic softball organization, an all-star travel team based out of (North) Charlotte, now has helped eight of its nine regular players on the U18 team sign national letters of intent to play collegiate softball next season. The Magic, founded by current Jay M. Robinson softball coach Jim Allen in 1996, currently has three teams from U16 to U18. The U18 has mostly been together since they were eight years old. Hopewell senior forward DeMon Brooks has committed to Davidson and will sign next week. The 6-foot-8 forward, also the I-Meck conference player of the year, will join Titan teammate Jordan Downing as a Wildcat. Brooks, who originally committed to Howard, was released from his commitment when the Bison's coach Gil Jackson was fired last month. Hopewell senior forward Bryce Hawkins committed to Lenoir-Rhyne while Titan point guard Earl McLaurin was accepted to the Naval Prep Academy prep school. 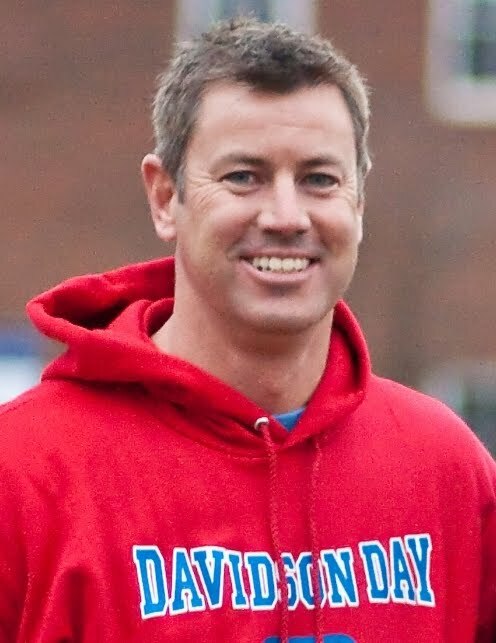 The football era at Davidson Day School has officially begun as Chad Grier has been named the first head football coach in school history. The former East Carolina University football standout comes to Davidson Day following a two-year stint as offensive coordinator at Southlake Christian Academy. Grier brings a wealth of experience to Davidson Day, on both the high school and college landscape, as a player and a coach. Prior to arriving at Southlake, Grier was an Offensive Assistant Coach at Charlotte Latin (2004) where he also starred as an all-state quarterback under local coaching legend, Larry McNulty (1986). "I am very excited and honored to be part of such a great school,” said Grier. “Davidson Day is a first class school; from the headmaster, to the faculty, and to the students. And my immediate goal is to bring the school a first class football program." A local native of Charlotte, N.C., Grier’s collegiate career began at the University of Richmond where he started at quarterback as a freshman. Grier later transferred to East Carolina University where he earned a Bachelor of Arts degree in Journalism. While at East Carolina, he played under nationally known coaching figures, Kevin Gilbride and Mark Richt. Gilbride is currently the offensive coordinator of the New York Giants and Richt is currently the head football coach at the University of Georgia. Grier makes it clear that he plans to use the qualities that he learned from these coaching legends and implement them to the DDS football program. Grier is married to his wife Nila, and has three sons: Will 15; Nash 12; and Hayes 9.